Expert services and advice for setting-up and managing your SMSF. In recent years, Self-Managed Super Funds (SMSF) have become an increasingly popular retirement planning option – with over 1 million Australians switching from a retail or industry fund to a SMSF. There are several advantages to having a SMSF, with the primary benefit including more control over how your investments are managed compared to retail or industry funds. But before setting-up a SMSF, it is important that you seek the right advice, and ask the right questions – like is a Self Managed Super Fund right for you? And if so, how can you create the most beneficial investment situation. Why go with MAS Tax Accountants? A Self-Managed Super Fund (SMSF) is a superannuation fund that you manage yourself, with assistance from your Accountant and Financial Planner or Adviser. A SMSF can comprise of up to four trustees or members, in which everyone involved is responsible for managing it and complying with the relevant laws. It is different from a retail or industry super fund, which pool members’ money and invest it for them. A SMSF involves the trustees in accessing their current super or savings, and choosing where to invest their money to the goal of creating a retirement fund. As an SMSF can provide you with more investment choices, control and responsibilities, it is important to have an investment strategy. By creating an investment plan and considering your fund’s and trustees’ circumstances, you can develop a better outlook and prospects for your SMSF. A vital step in preparing your investment strategy is to first seek advice from a qualified Financial Planner. They can help you to create and review your strategy, and provide an outside perspective of how the personal circumstances of each trustee or member could impact the SMSF. Your Financial Planner can provide you with a wealth of advice, and can help you to answer the important questions, like is a Self Managed Super Fund is right for you? Your Financial Planner can also advise you on the types of SMSF investments that may best suit your situation, in terms of diversification, benefits and meeting your financial goals. You can find out more about SMSF investment strategies at the ATO website or by speaking with our professional Financial Planners. Your SMSF needs to be set-up correctly, to ensure that it’s eligible for tax concessions, can receive contributions and is easy to administer. This involves setting-up the accounting and legal aspects of the fund, which can be processed by your Accountant. If you already have a SMSF, we can offer comparison reviews to indicate how your SMSF is performing, and if it’s structure and investment strategies are optimal. At MAS Tax Accountants, we can assist you with all of your SMSF Tax and Accounting duties throughout the year, including your SMSF Tax Return. A part of correctly managing your SMSF is ensuring that it complies with the relevant taxation and superannuation laws, including a SMSF Audit. It is a legal requirement that your SMSF is audited every year. The audit aims to examine the validity of the fund’s financial records and compliance duties, and ensure that everything is running smoothly. The Accountant preparing your SMSF tax return cannot also process your SMSF audit, but you can be referred to a certified Auditor from the same office or company network. 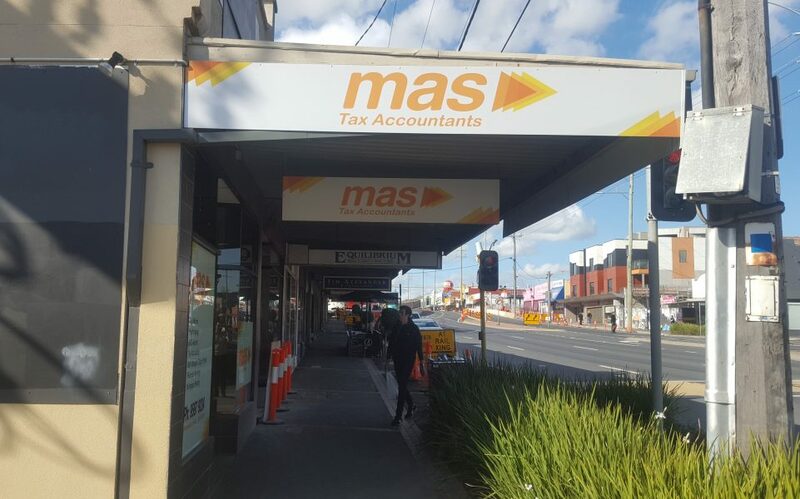 At MAS Tax Accountants, we can easily and quickly refer you to one of our ASIC certified SMSF Auditors, saving you the time and trouble of finding an external Auditor. SMSF compliance regulations can be complicated and subject to change, so it is critical to seek the services of an accredited SMSF Auditor and regular investment advice. As we have a large office network, our team includes several experienced ASIC certified SMSF Auditors and Financial Advisors. There are many advantages to having your Super in the one place, such as saving on administration fees and charges. With MAS Tax Accountants, you will also benefit from having access to our integrated network of finance professionals. You will not only be provided with all of the needed SMSF services and advice, but you will always have access to expert knowledge and support. In addition to benefiting from of integrated software systems, years of experience, and our diverse professional network, we are committed to providing personalised and meaningful services. At MAS Tax Accountants, we are your partner in success, and take pride in our ability to deliver expert services and up-to-date advice. We have helped hundreds of Individuals, Families, Business Owners, Retirees and Property Investors to achieve their financial and lifestyle goals. Using leading technology and sound financial practices, we assist our clients in building and protecting their wealth, and planning for their future. Is a Self Managed Super Fund right for you? It is never too early to start planning and protecting your financial future. 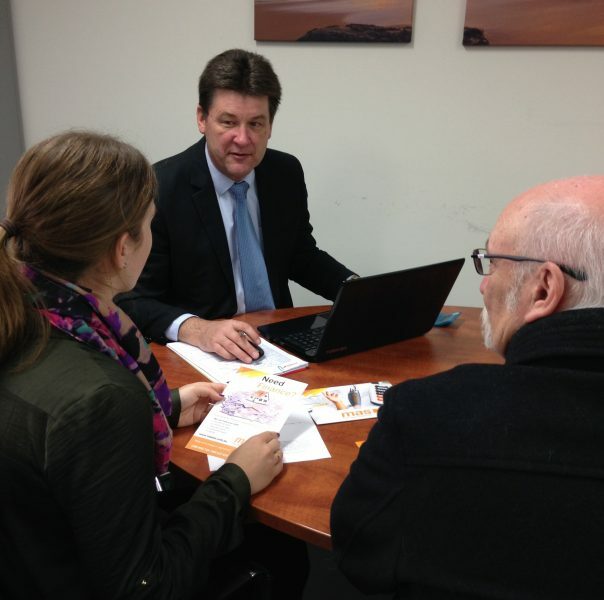 Talk to one of our qualified Accountants or Financial Planners to discuss your SMSF and retirement options.